If full leg extension isn’t a huge deal, there’s still a good deal of extra leg and knee space here over JetBlue’s already space-generous economy seats. 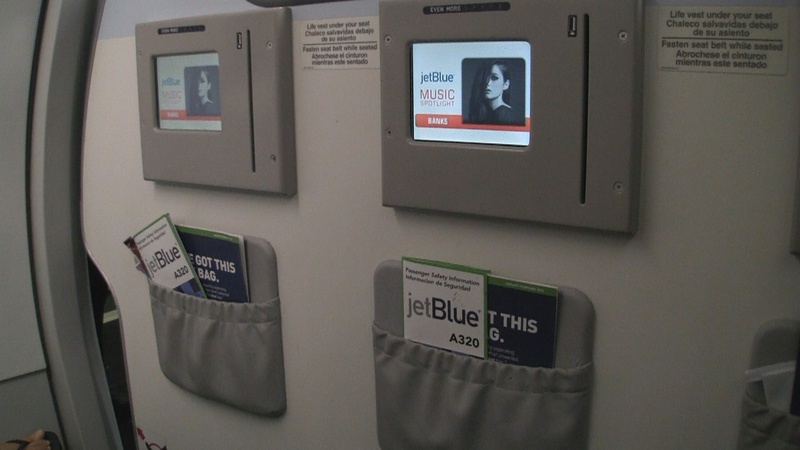 For economy legroom aboard a US airline, JetBlue is our hero. Tech/Connectivity/Entertainment: Being a pioneer in the area of domestic in-flight live TV, JetBlue has fallen victim to imitators with bigger screens, innovative touch-screens and power outlets, but it’s still plenty comforting to know that you won’t miss a playoff game or any of a House Hunters International marathon on HGTV while you’re in the air. Those screens might be tiny but have a fairly decent number of DirecTV channels and even better, tons of SiriusXM Radio channels. Hours of watching CNN and listening to me and my satellite radio pals is something to be thankful for if your gaming and media devices aren’t charged up. There were no outlets, USB or any other sort of port here. 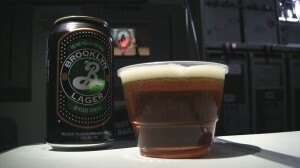 Food: Blue potato chips and Brooklyn Lager means I love JetBlue. If you’ve got a pallate for something a little different though, the overflowing snack basket rivals what you’d find in first class aboard a short-hop flight on a legacy US airline. If you’re on a transcon flight between New York JFK or Boston and Long Beach, Los Angeles or San Francisco, you can purchase sandwiches and salads from their “Eat Up” menu. Check out all the food offerings aboard Jetblue. Service: My theory has always been that if you sit near the front, your flight attendant hasn’t yet had their day ruined completely ruined by having to recite the entire menu of drinks to half the plane, clean up spills or babysit someone’s bratty kid. 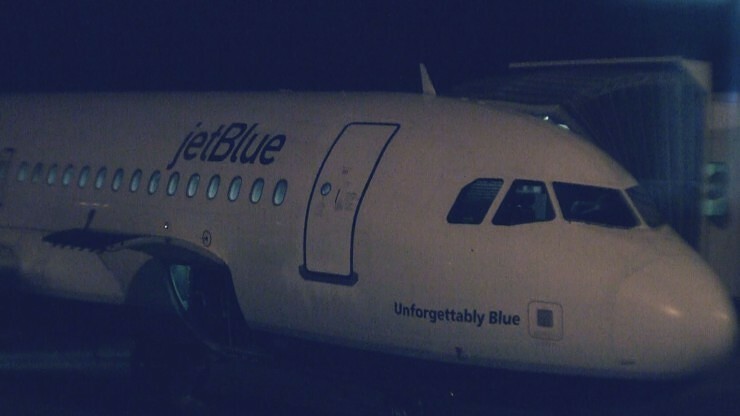 There’s no official evidence to back my theory up but it was all smiles from the JetBlue crew on this flight…at least where we were sitting. 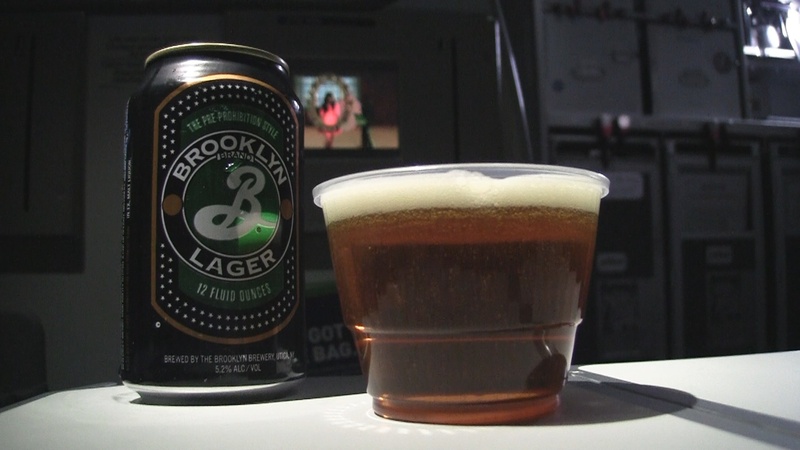 Flight attendants were gold-medal friendly this time. The first round of drinks were even on the house as a few scattered TV’s were on the fritz and were keeping sports-crazed fans from watching a big game. How we got em’: This was (and usually is) a purchased upgrade from an already legroom-friendly JetBlue economy seat. “Even More Space” seats can be purchased if available from booking to flight time.